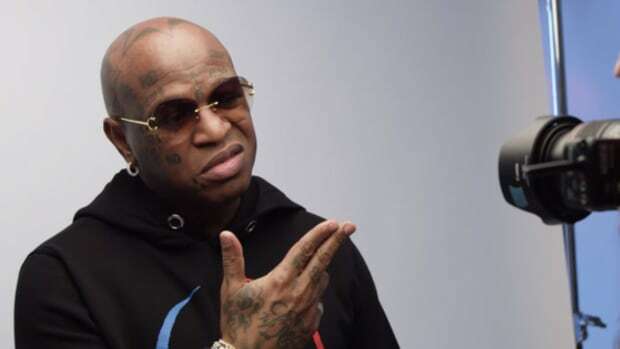 New York, NY -- Cash Money Co-Founder and platinum-plus superstar Birdman snagged the coveted Alltel People&apos;s Champ (Viewer&apos;s Choice) Award with Cash Money signature star Lil Wayne for their smash "Stuntin&apos; Like My Daddy" at the 2nd Annual BET Hip-Hop Awards this weekend. The scorching hit single was the touchstone anthem from the duo&apos;s epic 2006 pairing, the platinum-plus Like Father Like Son. Birdman is gearing up for the much anticipated launch of his third solo effort, 5 Star Stunna, which is slated to be in-stores this winter, his latest incarnation behind the mic that has seen him build one of hip-hop&apos;s most formidable empires both as an artist and as a respected label CEO and entrepreneur. Birdman (Bryan Williams) and his brother Slim (Ronald Williams) crafted their New Orleans start-up imprint - Cash Money Records – more than a decade ago, transforming the label into a 45 million record selling global powerhouse. 5 Star Stunna continues the tireless hitmaker&apos;s amazing track record, with the first single from the new album, another pairing with Lil Wayne, "Poppin&apos; Bottles," lighting up the urban radio, mainstream video and digital landscape. Birdman&apos;s new album expands on his own blazing repertoire, featuring a star-studded array of collaborators, including the multi-talented Lil Wayne, Young Jeezy, Rick Ross and Cash Money newcomer Brisco. Producers stoking the Birdman hit-making furnace include Cool & Dre, T-Mixx, Scott Storch & Swizz Beatz, among others. The video for "Poppin&apos; Bottles" has become a BET favorite right out of the box, with hip-hop fans buzzing about several of the other songs included on the soon-to-be released disc, including "100 Million," featuring Lil Wayne, Rick Ross and Young Jeezy, and "I&apos;m A Stunna." Considered one of hip-hops most influential entrepreneur/artist masterminds, the hip-hop icon has established a direct connection to rap fans by staying true to the street-savvy code of Cash Money Records. Birdman first stepped into the solo artist realm in 2002 with Birdman, and set the stage for even more artistic success with his pivotal second solo album, 2005&apos;s, Fast Money, launching the radio staples "Get Your Shine On" and "Neck Of The Woods." Birdman&apos;s industry-recognized business-building skills also continued to make him a fan-favorite whether performing or pulling strings behind the scenes. The Cash Money foundry has also been recognized as an unprecedented force for change in New Orleans&apos; more underserved neighborhoods, delivering aid for victims of Hurricane Katrina (Cash Money&apos;s own headquarters were leveled by the disaster) giving away thousands of Turkey dinners every Thanksgiving to underprivileged families, and launching Cash Money for Kids which has allocated sports tickets to local youth. Over the years, the company has become one of Louisiana&apos;s most compelling and successful business models, contributing millions of dollars in economic power to the New Orleans locale, introducing and re-launching an explosive array of artists from Lil Wayne, to Teena Marie (on the Cash Money Classics imprint) to Big Tymers - which also included Williams as a member to Brisco and Glasses Malone. The label has groomed countless successful artists, production entities, business enterprises (including Birdman&apos;s endorsement deals with Lugz Shoes and Rockstar Games, among others). Through it all, the colorful mogul has managed to stay true to the principles of the street, remaining a vital, breakthrough artist himself while nurturing one of the most revered entertainment empires in the history of the genre. Birdman Creates Trailer For "100 Million"